This is a venture with the New Horizons Foundation, which is an excellent organization devoted to helping nonprofits fund their endeavors with integrity. Why are we excited about this? Because now we can take more than just cash donations. New Horizons gives us the ability to fund our research with estate planning, in-kind gifts, cattle or crops, real estate, personal property, donor advised funds, and retirement assets. They know all of the ins-and-outs of the tax benefits and we feel that this not only helps us, but you as well. We want you to get the most out of every dollar that you donate. 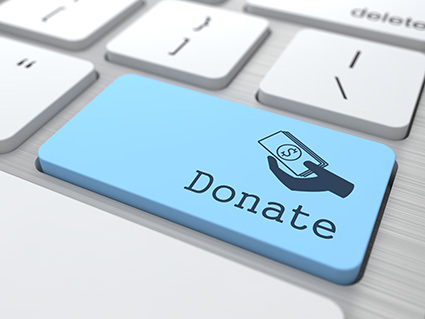 You have several options for online donations. First, you can go to our donation page here to give monetarily where an option of setting up automatic monthly giving is also available. Or if you have more detailed questions about estate planning, go here and click on the icon that represents your giving interest. If you have further questions, please call the development office at (405) 639-2875. Thank you for your past donations. We look forward to working with you in the future.